Overview : The new Carry Speed DS-2 Camera Sling Strap features an all grip, non-slip, and detachable neoprene shoulder pad which is a stretchy material that absorbs the weight of the camera. The DS-2 has a front slider quick adjustment and 3-button snap buckle. The strap also comes with a D-1 wide platform ballhead locknut which will not scratch any camera surface it screws onto. The ballhead is super universal and fits all cameras with standard tripod mount. Quality/Usability : The Carry Speed DS-2 is part of the DS Series but what makes it different from the DS-Slim or the DS-PRO that we reviewed? Let's find out. 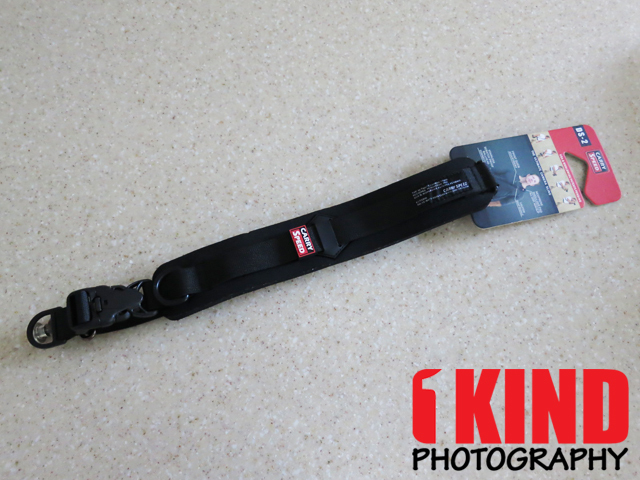 Carry Speed sling straps primarily consist of 4 parts: neoprene shoulder padding, nylon webbing strap with buckles and connector, ballhead locknut and allen key. Carry Speed neoprene straps have been the same design but with the DS-2, it's still a neoprene strap but the design is different. The strap is lightweight and flexible. You barely notice it on your shoulder. Unlike the original straps, there is only one size and its about the same width as the slim. Since it's a neoprene strap, it has the ability to stretch to accommodate the varying weights of cameras. Typically wide (PRO) straps are for those with big shoulders or bigger upper body. If you have a small shoulder or a female, SLIM would be perfect match. If you're of average build, either will work fine but its personal preference. However, with the DS-2 redesign, its perfect for all sizes. 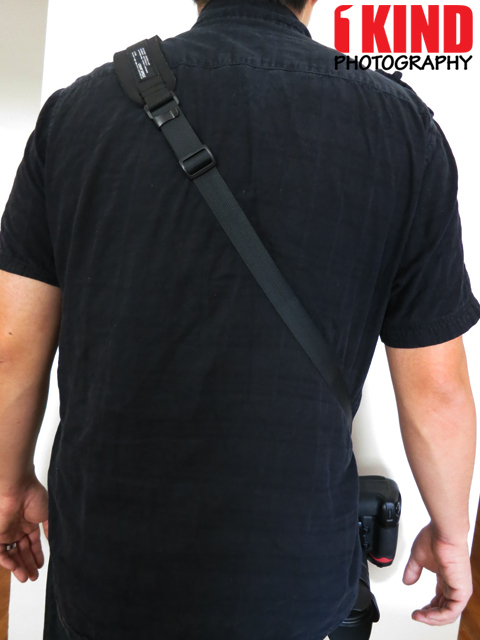 Unlike the other Carry Speed straps, the neoprene strap is attached in the back but the front has a buckle. So it's not two separate straps. I have a feeling this may allow for mods like pouches in the near future. Main adjustments to adjust the length are made in the back. 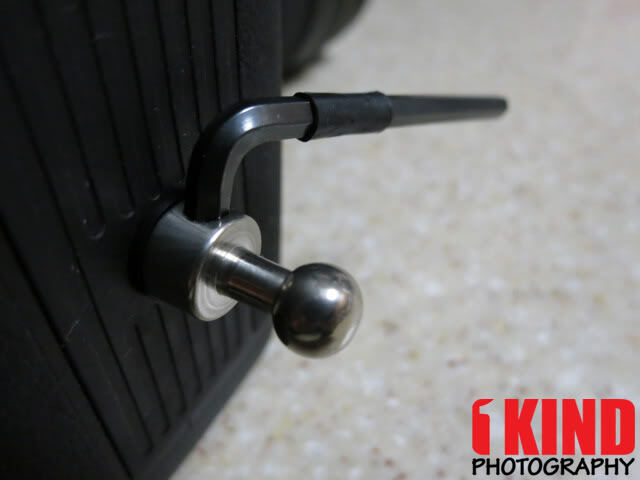 Before the CS series, if you weren't going to use your camera anymore and you needed for it to be stable without it flopping around, you would slide the bumper stopper that was close to your chest and down to the camera. Now, the bumper stopper is gone. The bumper that is in the back that prevents the camera from going behind you is still included. The front quick adjustment is a pull strap that is located on the front of your strap. The DS-2's front quick adjustment is slightly different. There's no metal buckle. To tighten, lift the loop buckle and pull on the plastic D-ring. 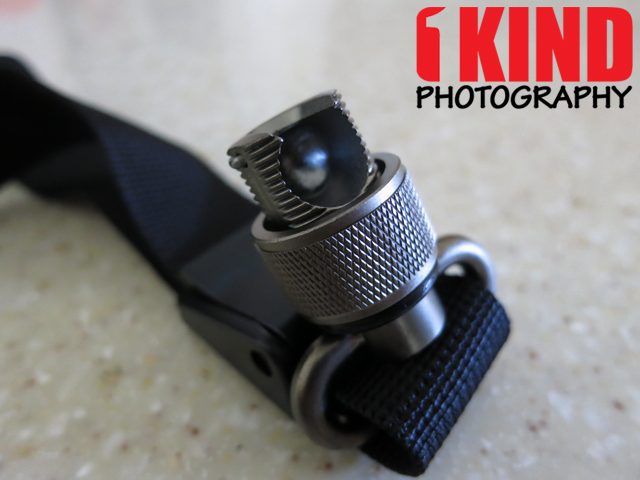 This will shorten the length of your strap which makes the camera come closer to your body. 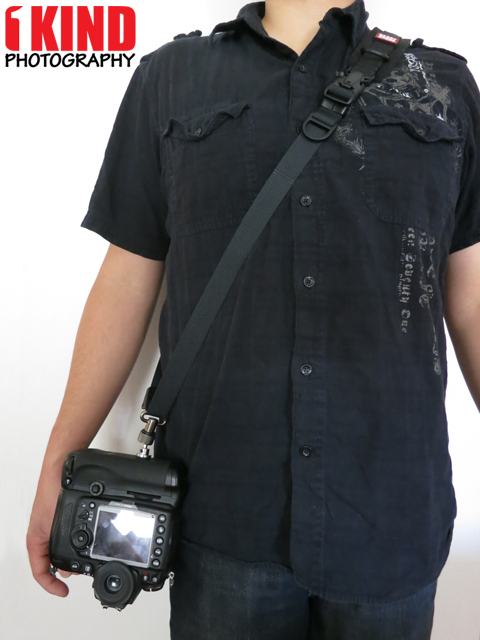 To loosen, just pull up on the loop buckle and pull the main nylon strap down towards the camera. Video demonstration can be seen below. Typical buckles require you to squeeze the buckle with two fingers and it releases. A thief or prankster can easily use their two fingers to release your strap and cause your gear to drop to the ground or even steal it. Even if you accidentally forget to fully push the buckle in, it can unclip and fall to the ground. 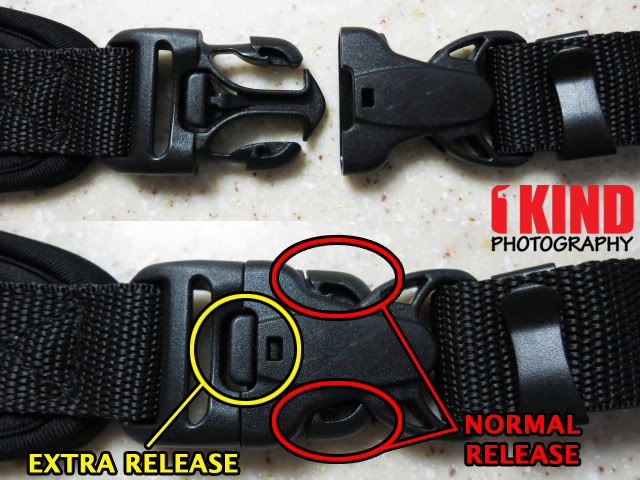 One of the unique features that is different from other sling straps is the three (3) button quick release. With Carry Speed's 3 buckle quick release system, it now requires you to use two hands. You still use your two fingers to release the buckle but now you need to press a third button to release the third locking mechanism. This provides added security. Would-be thiefs won't know what hit them when they try to release the clips. They'll also have to work harder for it too. 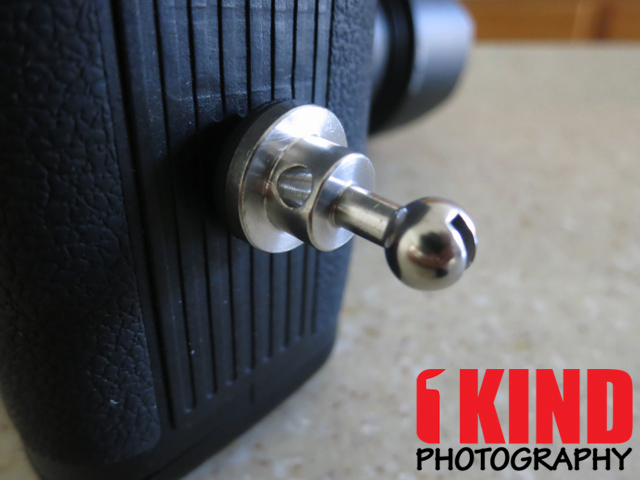 To install the ballhead locknut, simply hand-screw it into the tripod socket. Once its hand tightened, you can either use an allen key (not included) to tighten the locknut. But what's different about the new ballhead over the old ballhead is that it has a wider base at the bottom but you can now also use a coin to tighten the ballhead if you lost or don't have the allen key with you. If you're using the allen key, there is no place to store it. You'll have to throw it into your camera bag or a pouch and pray it does not get lost. But even if it does, any allen key will work fine and can be purchased from a hardware store for cheap or as mentioned, you now have an option of using a coin. What's great about the ballhead locknut is that it works with the Spider Holster. So if you own a Spider Holster or plan on purchasing on, this will work. 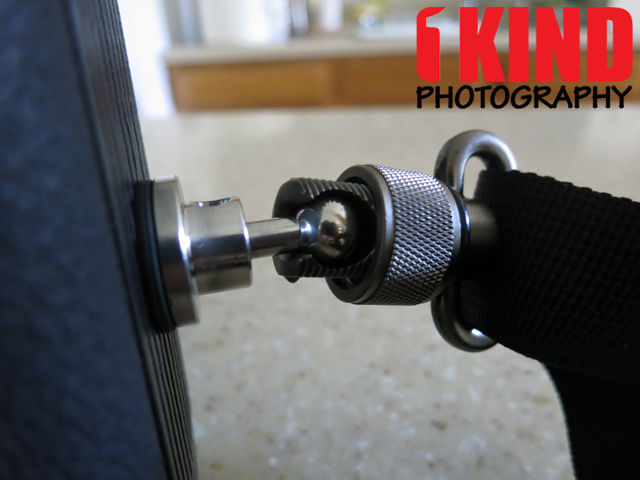 Typical sling straps use a carabiner to attach to fastener on the bottom of your camera. But with the Carry Speed series, it uses its unique locking system. Inside the connector is a hollowed out center that houses the ballhead. To keep the ball from coming out, you simply screw the connector all the way down. The connector itself is totally unique as I have not seen anything like it and is patent pending. 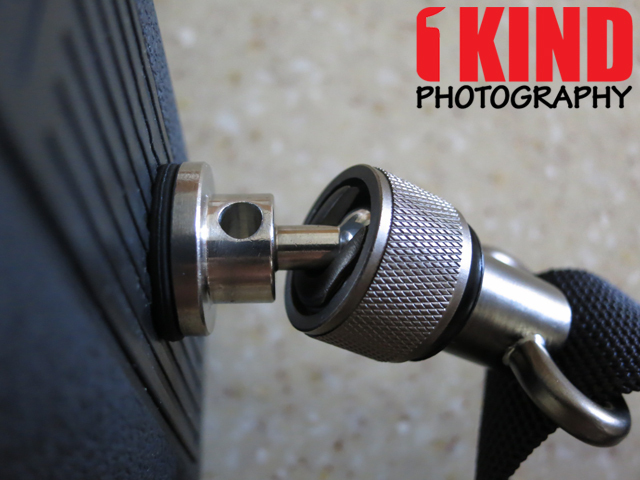 Once the locknut and connector has been installed and closed, the connector does not come near the body of your camera. This will not damage or scuff your camera. 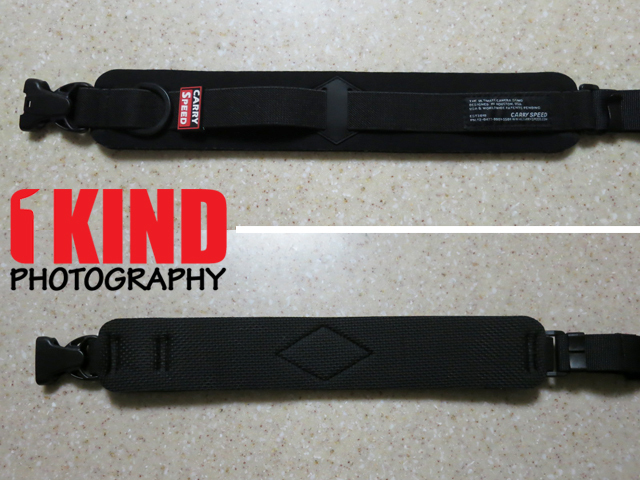 Conclusion : Overall, the Carry Speed DS-2 Camera Sling Sling Strap is essentially the same as the DS-Slim. Nylon webbing strap, ballhead locknut are all the same. Only difference is the neoprene strap and the front quick adjustment. The front quick adjustment isn't hassle free as the DS-Slim/PRO but it also doesn't loosen easily either. With the front buckle being in the front and the way the neoprene strap is designed, I have a feeling that Carry Speed will be releasing mod attachments such as pouches or something you'll be able to add to the strap.